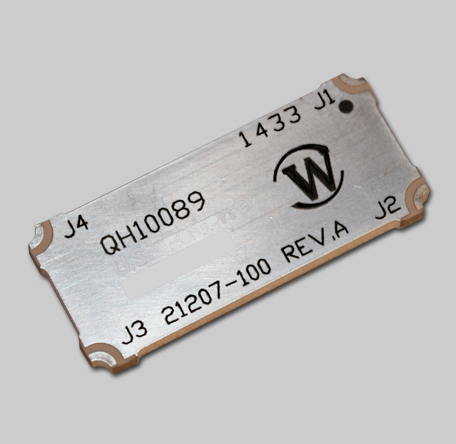 Werlatone's High Power 90° Hybrid Couplers now cover the full 800-2800 MHz bandwidth. The Model QH10089 operates at 200 W CW, with just 0.35 dB of insertion loss, and offes a minimum of 20 dB isolation. Supplied as a surface mount design, this compact unit measures just 1.25 x 0.55 x 0.08" and is ideal for military or commercial applications. Werlatone’s High Power 90° Hybrid Couplers now cover the full 800-2800 MHz bandwidth. The Model QH10089 operates at 200 W CW, with just 0.35 dB of insertion loss, and offes a minimum of 20 dB isolation. Supplied as a surface mount design, this compact unit measures just 1.25 x 0.55 x 0.08″ and is ideal for military or commercial applications.